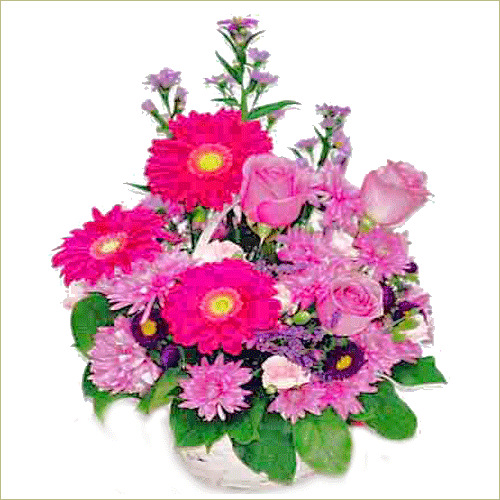 The soothing lavender blooms of rose and gerbera dasies comfort the eye. Ringed by lavender pom poms, this is a simply elegant basket for relaxing events. Standard Basket includes 9 stems. Deluxe Basket includes 12 stems. Premium Basket includes 15 stems.